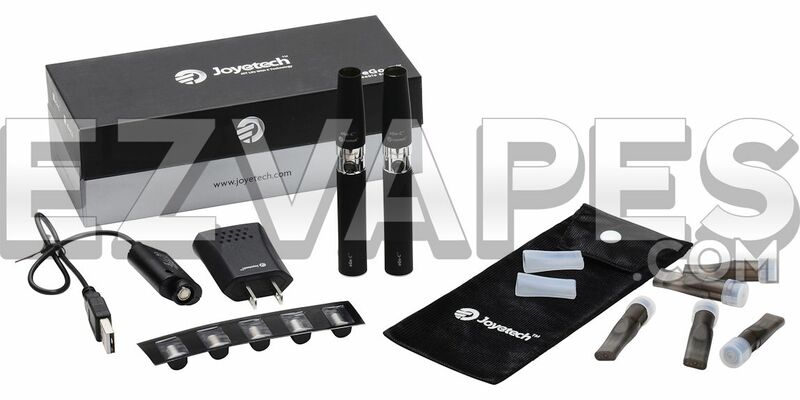 The genuine Joyetech eGo-C Starter Kit improves upon the manufacturer's previous atomizer design and is now on clearance for 25% BELOW OUR COST. 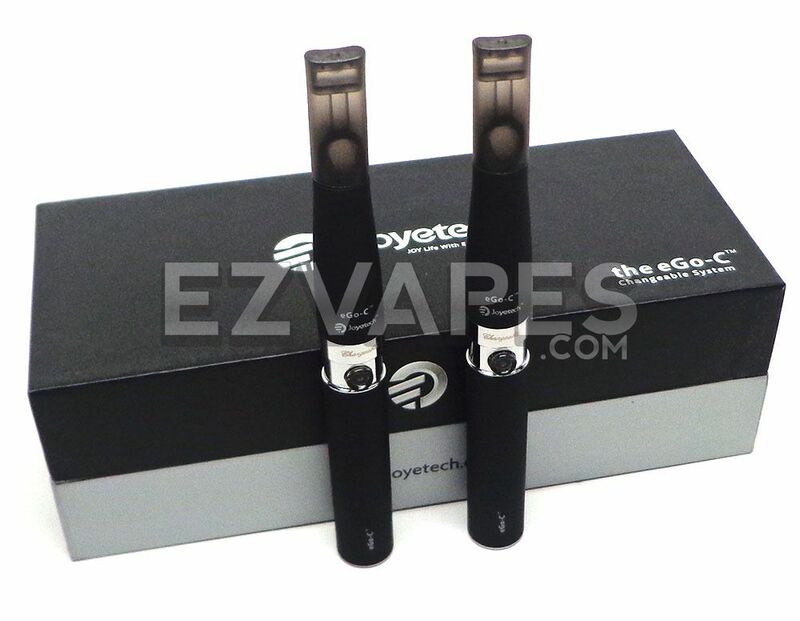 Get 2 complete eGo-C pen set-ups in one box at a truly below wholesale price! 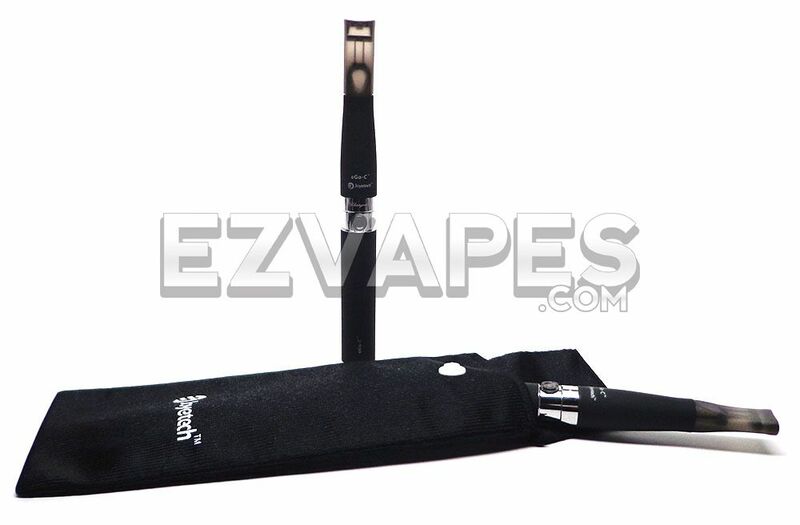 An eGo-C atomizer consists of 3 essential parts; the atomizer head, the atomizer body, and the atomizer base. The new "changeable system" allows the atomizer body and cartridge/tank to separate allowing for quick, easy replacement of the atomizer head. Rather than being required to replace the entire setup each time (which can become expensive) this makes for a more practical and cost effective solution. This genuine eGo-C Starter Kit from Joyetech comes with 2 complete pen setups including 2 x 650mAh eGo brand batteries and atomizer bodies along with 5 atomizer heads and 5 empty refillable cartridges. Also includes 1 charger and wall adapter (per kit). All authentic Joyetech eGo batteries include an overcharge protection feature as well as an accidental discharge safety system. If you leave your battery on the charger, the overcharge protection feature will protect your battery from being damaged. The accidental discharge system can be activated by pressing the action button located on the battery 5 consecutive times. This will lock the battery so that it does not accidentally go off when being stored in the pouch or in your pocket or purse. Pressing the button 5 more times will unlock the battery for use. EZVapes.com stocks only real genuine authentic brand name Joyetech eGo products with serial number and insignia. This includes all eGo branded batteries, chargers, carts, atomizers, cases, and accessories. Notes: Current set up is intended for e-liquids only. Clearance items are not eligible for return.